Researcher Katie Bouman was slammed by misogynists, who wanted Andrew Chael to get credit for the image. Chael put an end to it — then came out. The world's first image of the cataclysmic celestial event known as a black hole was supposed to be a moment of celebration for the dozens of scientists and astronomers who collaborated to capture the picture. 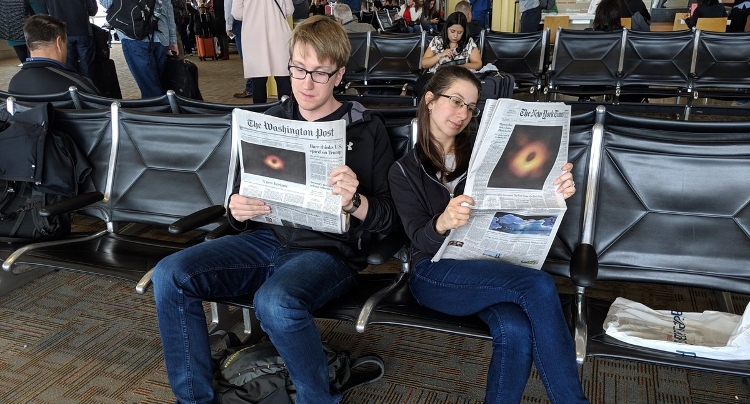 Instead, "men's rights" and various other misogynists took aim at Katie Bouman, one of the researchers behind the image of the black hole in the Virgo constellation. While much of the media attention focused on Bouman, the young postdoctoral fellow at the California Institute of Technology was quick to point out she was one of many people around the globe who worked to create the historic image. Bouman's Facebook post was likely a response to the harsh criticism on Reddit and YouTube, with misogynists claiming Bouman took all the credit for the picture. Many of the "men's rights" activists heaped praise on a researcher named Andrew Chael, claiming Bouman stole the white man's thunder. Chael countered the lies and scorn heaped on Bouman, coming out in the process, according to NBC News.